Washington, March 3: The US and South Korea announced that the annual large-scale exercises, which were a ccommon feature of the defence relationship between the two militaries, will end and be re-configured into smaller manoeuvres. The announcement follows a phone call on Saturday between acting US Defence Secretary Patrick Shanahan and South Korean Minister of National Defence Jeong Kyeong-doo, reports CNN. “Following close coordination, both sides decided to conclude the Key Resolve and Foal Eagle series of exercises,” a statement from the Defence Department said. 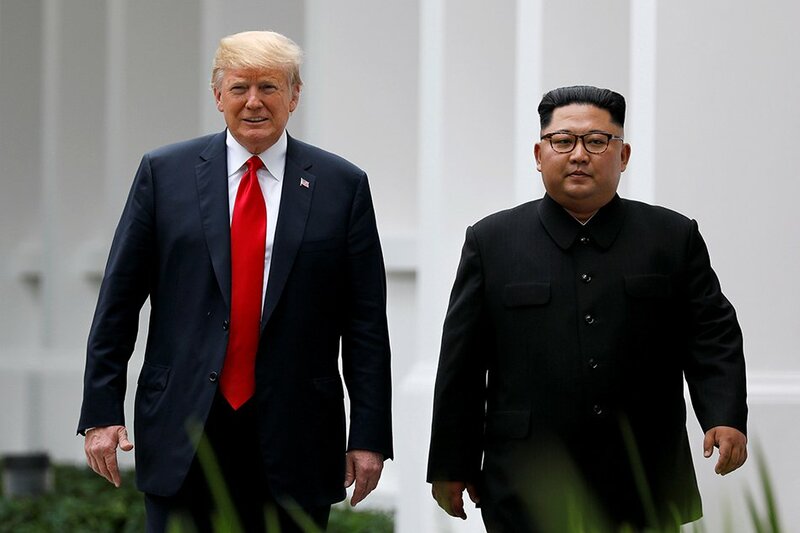 The announcement follows this week’s summit in Hanoi between President Donald Trump and North Korean leader Kim Jong-un that ended in a failure to reach an agreement between both sides. “The Minister and Secretary made clear that the Alliance decision to adapt our training program reflected our desire to reduce tension and support our diplomatic efforts to achieve complete denuclearization of the Korean Peninsula in a final, fully verified manner,” the statement added. The “Key Resolve” manoeuvres used to take place in March and lasted about two weeks, overlapping with “Foal Eagle”, which were carried out for a month. Thousands of soldiers from the US and South Korea participated in both military exercises, as well as contingents from Australia, the UK and France, among others. In December 2018, Washington announced the suspension of the joint “Vigilant Ace” air manoeuvres with South Korea as part of an effort to ease tensions with North Korea following the June Singapore summit between Trump and Kim. Vigilant Ace was a military exercise held annually at the end of the year with the participation of some 12,000 soldiers and some 200 warplanes from South Korea and the US.